Overall salaries have decreased by 1.4 per cent, as a result of redundancies and a reduction in the use of often high-cost expat workers. In an effort to secure work or retain their current role, oil and gas workers are being flexible on salaries with 51 per cent of employee respondents saying they would consider a cut in salary to retain their current job. Forty-one per cent of oil and gas professionals believe, a company’s reputation is the number one factor when evaluating a job, ranking above compensation (34%), career progression (15%) and benefits (10%). Few, if any, oil and gas employers are predicting headcount growth for 2016 with most struggling to retain existing staff and many looking at trying to make cost savings through reducing salaries and rates. 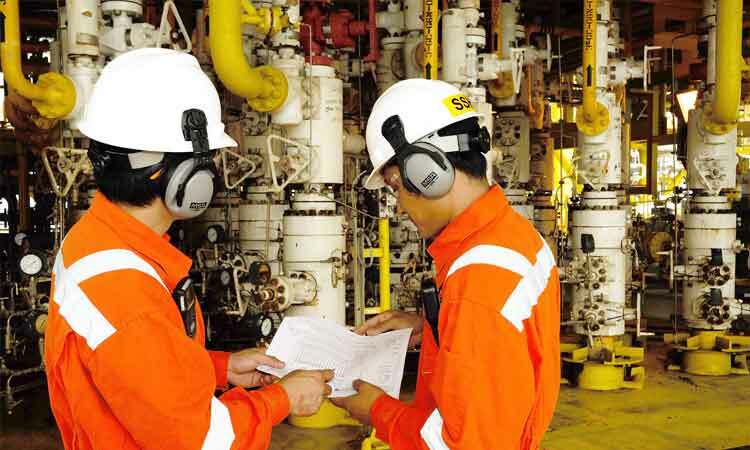 The industry is facing the prospect of further redundancies in the year ahead and many workers are being forced to look at opportunities outside of the industry as the lack of new projects coming on line starts to bite, according to the seventh annual Oil & Gas Global Salary Guide, produced by recruiting experts Hays Oil & Gas. The Oil & Gas Global Salary Guide illustrates how the fall in oil prices has impacted the industry’s workforce globally. Thirty-two per cent of survey respondents said they had been laid off or made redundant and 93 per cent of employers said they had made some level of headcount reductions over the past 12 months. Seventy-two per cent of those surveyed, and who have been laid off or made redundant in the past year, are considering looking for a role outside the industry. If workers begin to leave the industry this could cause a brain-drain of talent within the sector, potentially creating future talent pipeline challenges. With skills shortages a major concern for employers across the region more widely, this talent drain is likely to create further issues when the market picks up again. For the majority of businesses affected by the downturn, the focus has been keeping headcount costs low in order to remain profitable. However, employers must consider how employer reputation can effect an organisation’s ability to attract and retain top professionals in the industry. Forty-one per cent of oil and gas professionals said a company’s reputation is the number one factor when evaluating a job, both for an internal move or a role with a new employer. Sixty per cent of respondents who have been laid off or made redundant said they did not receive any assistance from their previous employer in helping them secure a new role. Businesses that do assist recently lay off or redundant workers in seeking new employment, such as providing time off for interviews or being introduced to a recruiting firm, can improve their reputation. “Supporting workers throughout the full work lifecycle, including exiting the business, will help preserve a good reputation, as well as help ensure that when market conditions improve, the employer brand is still attractive,” Faraguna suggests. Currently, 56 per cent of employers said the main issue facing the industry is economic instability. Year-on-year there is 15 per cent fewer expat workers, a likely example of companies looking to reduce expat staffing costs. Eighty-five per cent of respondents are seriously considering an international move and 40 per cent are looking to move in the next 6 months. “With hiring plans low on the agenda for the foreseeable future, there is a storm gathering within the industry. A pause in hiring today could create an even greater skills shortage than, that caused by the downturn of the mid-to-late 1980’s. Employers should be looking at their training, offering and implementing succession plans to retain current staff and build a reputation as a top employer to help attract candidates in the future,” Faraguna added.